Paul Gauguin went to Tahiti in 1891 in search of new, exotic motifs, but also to escape European civilization, which he felt was artificial and spiritually bankrupt. This picture, one of the first he painted in the South Seas, exhibits the artist's characteristic post-Impressionist style. 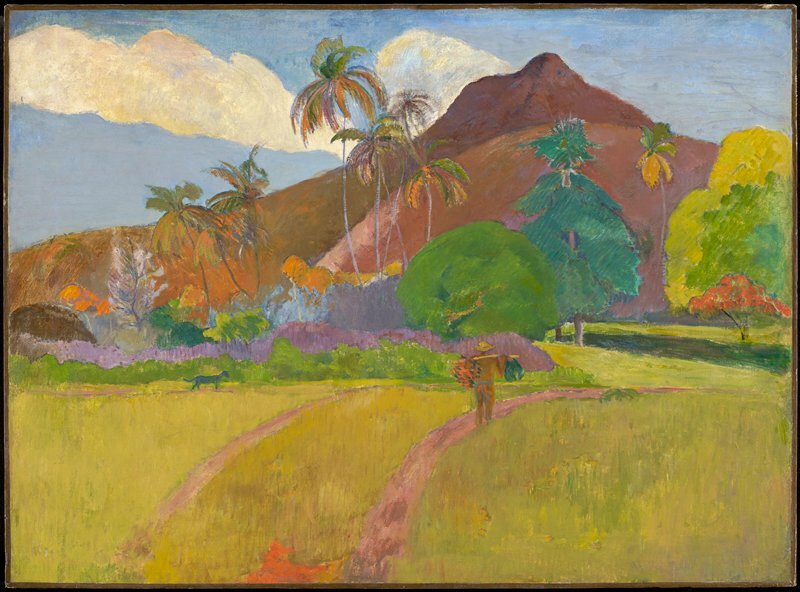 In it, Gauguin used sinuous contours and intense colors to express the joy and serenity inspired by the lush tropical site. Tahiti would become Gauguin's home for most of the last twelve years of his life. He once said of his Tahitian paintings that he had been "eager to suggest a luxurious and untamed nature, a tropical sun that sets aglow everything around it...the equivalent of the grandeur, depth, and mystery of Tahiti when it must be expressed in one square meter of canvas."